If you have a printer or access to one, you can now play chess! Simply print the board and use scissors or a blade to cut out the pieces! You may notice that there are extra pieces. The extra pieces are there for two reasons: promotion and in case of loss. 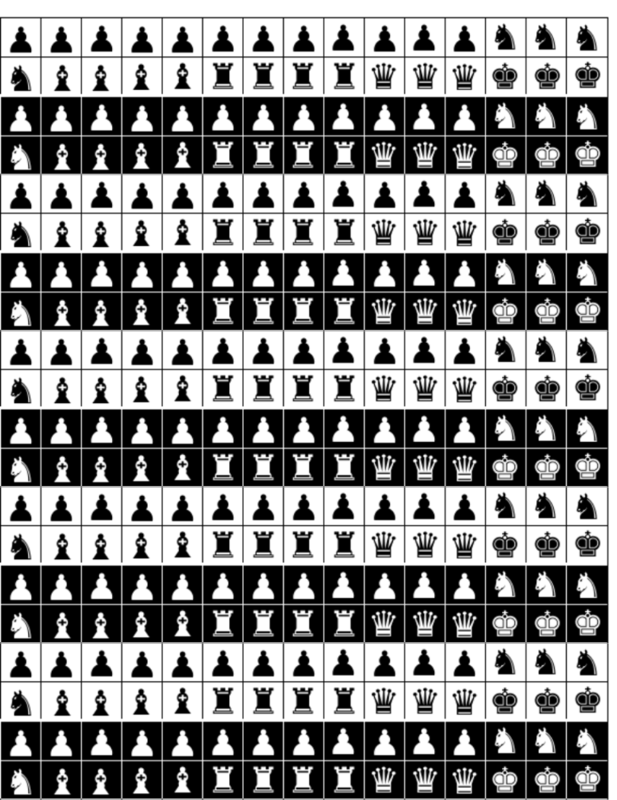 There are 12 pawns(4 Extra), 4 Knights, 4 Bishops and 4 Rooks(2 Extra each), 3 Queens and 3 Kings(2 Extra Each). You may tape these pieces to coins or other objects to reduce the chance that they will slide. If you have any suggestions please email me at peterdownie@live.com. I hope you enjoy playing! Is meant to be printed as a single page on both sides. Use it as a checkers board! If you want to play checkers on the board it works as well. 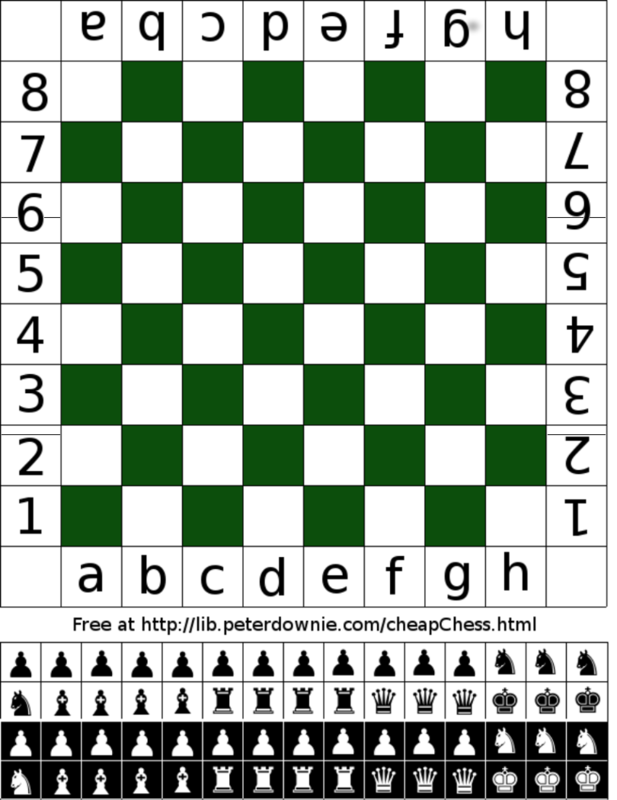 There are 12 pawns which is exactly the number you need for checkers! You can use the non pawn pieces as kings! The board has been reduced from 8.5" x 11" to 8" x 10.5", this will allow the picture to print without touching the sides of the page. Knight Trainer! - Useful for learning how to calculate knight moves!